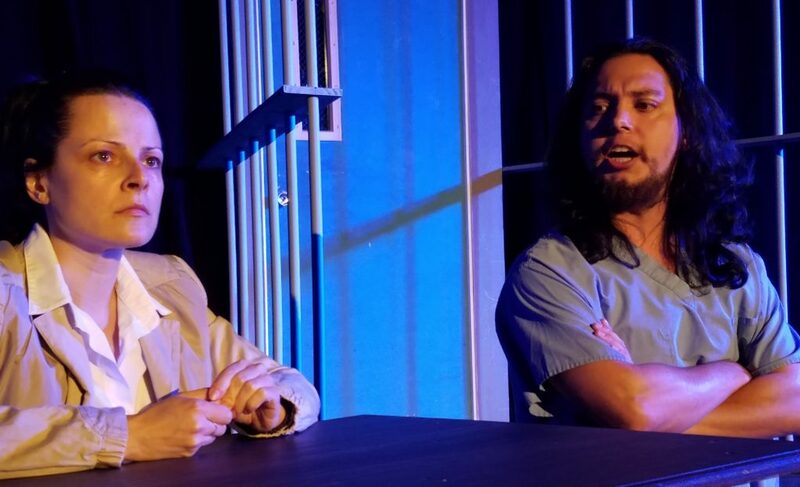 Starting this week, the Actors’ Warehouse presents “Jesus Hopped the ‘A’ Train,” which chronicles a man’s rocky journey through the pitfalls of the criminal justice system. There’s nothing pretty about jail, especially when that correctional facility is notorious Rikers Island across the East River from New York City’s glittering skyline. Now add a new, scared-as-you-know-what inmate who no longer believes in God to the mix along with a serial murderer and a sadistic guard, and you have the setup for a play filled with terror. But Jesus Hopped the ‘A’ Train, a play that opens this week at the Actors’ Warehouse, fortunately doesn’t take that predictable route. Instead it shows how incarceration can change people and how once you’re caught up in the system, there’s literally no escape. 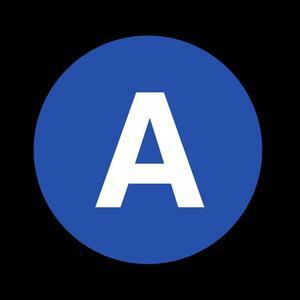 Jesus Hopped the ‘A’ Train, written by Pulitzer Prize winner Stephen Adly Guirgis (Between Riverside and Crazy), opens Friday night and continues with four shows a week through July 29 at the AW, 619 NE 1st St. Tickets are $20 ($15 for students and seniors). 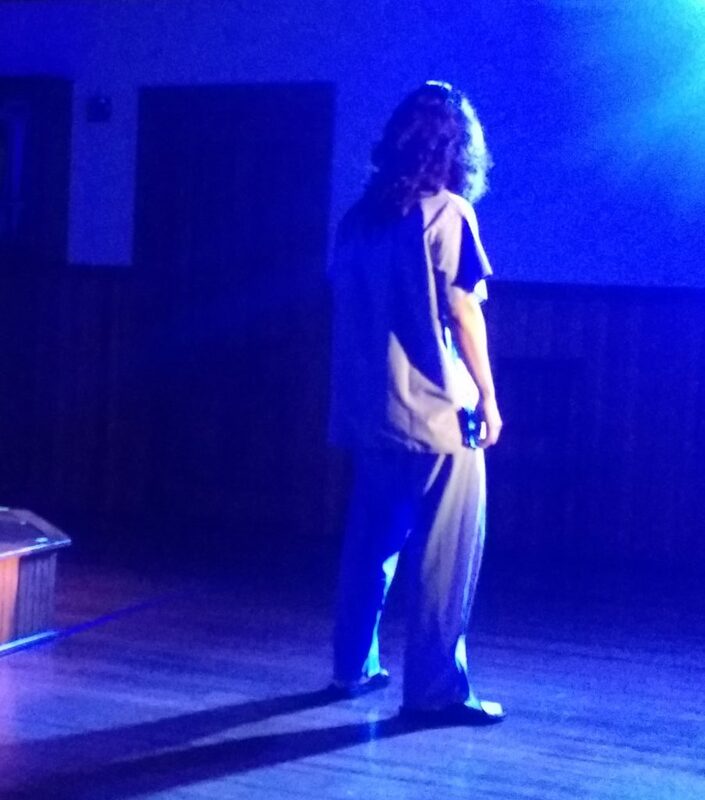 The play follows Angel Cruz (Diego Bermudez), a 30-year-old bicycle messenger awaiting trial for the death of the leader of a religious cult. While being held at Rikers Island, a timid and terrified Angel is befriended by fellow inmate Lucius Jenkins (E. Stanley Richardson), a charismatic serial killer who has found God and now wants to impart his wisdom on Angel. The audience learns of Angel’s backstory early on when he meets with public defender Mary Jane Hanrahan (Olga Petrovic). Angel’s profanity-laced story helps explain how an otherwise good-natured New York Puerto Rican made a few ill-advised choices that landed him in the slammer. Bermudez, 27, is a Gainesville native who has been active in the local theater scene for several years. Angel is his first Latino role, and he wants audiences to feel the emotion of his character. Richardson, who plays Lucius, knows raw emotion onstage. Earlier this year, he performed as fight trainer Wynton in the Hippodrome Theatre’s production of The Royale. He projects a similar wisdom as the serial killer turned jailhouse prophet in Jesus Hopped the ‘A’ Train. Richardson said the play offers social commentary on such “heavy” issues as mental illness, molestation and murder while also addressing the aspect of forgiveness. 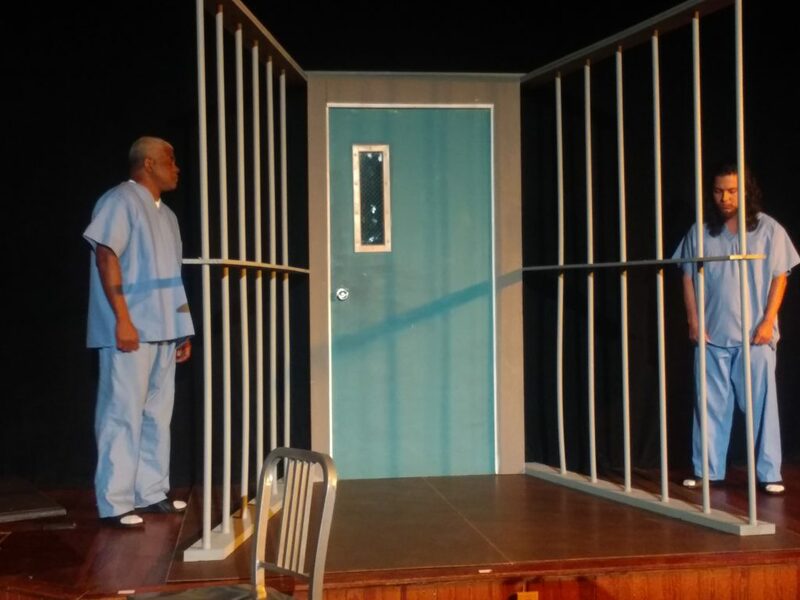 Not to be overlooked are the performances of two jail guards in the play. 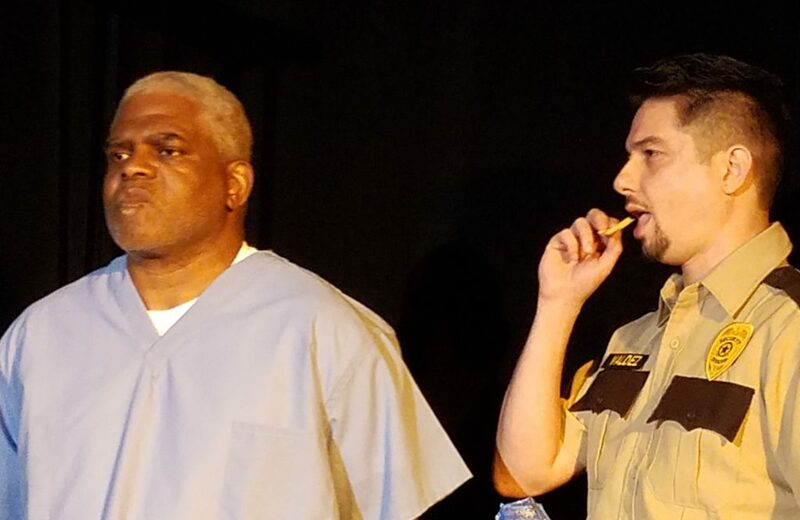 Wilfredo Gonzalez plays Valdez, a correctional officer with a huge chip on his shoulder, while Josh Evangelista plays the kinder, gentler D’Amico. Jesus Hopped the ‘A’ Train opened Off-Broadway in 2000 and was directed by the late Philip Seymour Hoffman. The play has been performed dozens of times since then, including another New York City run last year. Mack said he saw the production in Philadelphia many years ago and directed it in 2005 at the Acrosstown Repertory Theatre. Now he is presenting the show to a new Gainesville audience at the Actors’ Warehouse. Mack said shows such as Jesus Hopped the ‘A’ Train are important in exploring issues that touch everyone. “The heartbeat of social change in our country has always come from places like this,” he said. Performances: Thursday, Friday and Saturday @ 8 p.m., Sunday @ 3 p.m. through July 29. Let us know what you think about Jesus Hopped the ‘A’ Train by posting a comment in the Leave a Reply section below.